Welcome to the jungle, well, kids style! 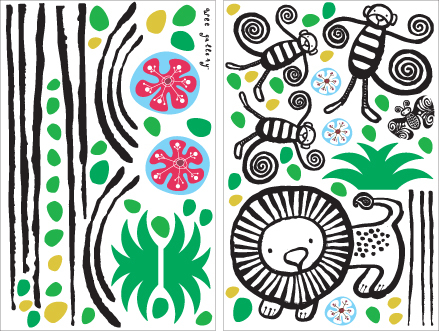 This pack contains 1 lion, 3 monkeys, 1 butterfly, twigs, leaves and branches! 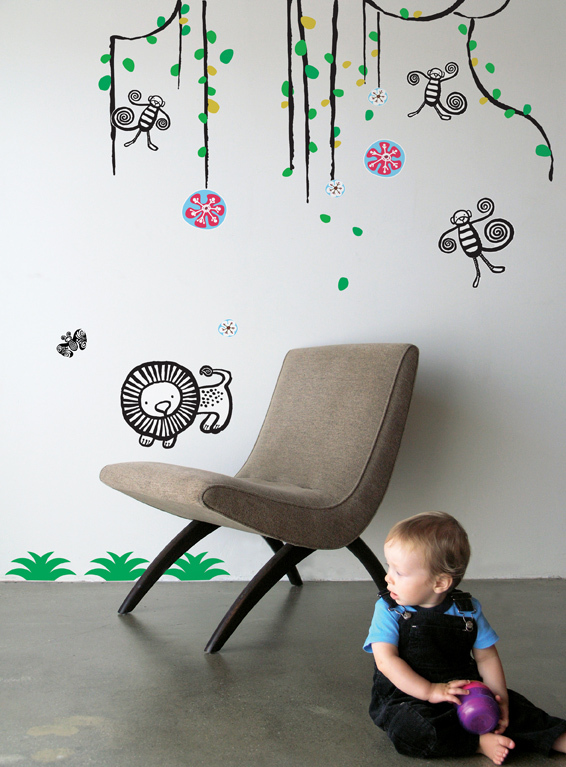 A total of 78 wall stickers to compose and re-compose your wall mural as you wish.